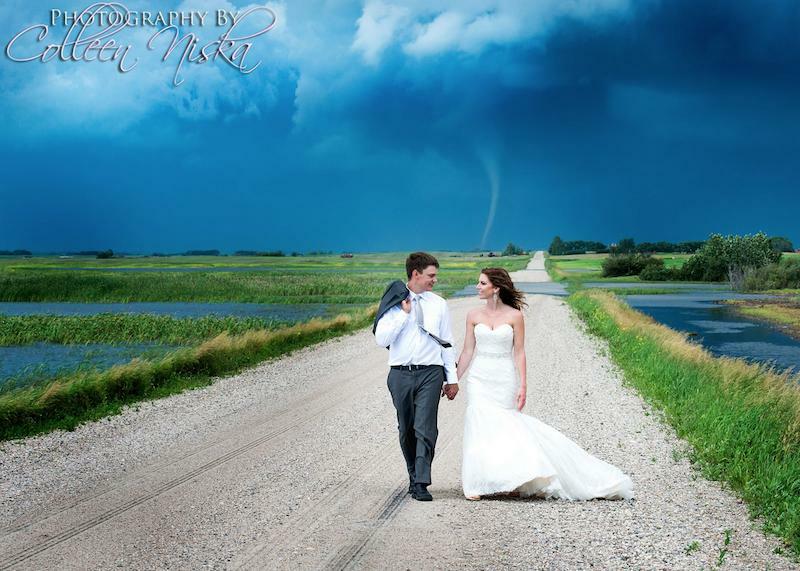 A Saskatchewan portrait photographer captured stunning photos Saturday for a newly married couple in which a tornado could be seen in the background. During the rural photo shoot, the photographer spotted the funnel cloud and the couple quickly agreed to continue the picture-taking. See more photos by Colleen Niska on Facebook.